B-Tek DD Series terminals combine computer programming power and flexibility together with the measuring requirements of a weighing instrument. Combines extensive standard hardware, customized programming and a Windows Embedded operating system. Whether it’s weighing, process control or managing an inventory system, the DD Line will simplify your business! Combining extensive standard hardware, customized programming and a Windows Embedded operating system, B-TEK continues to attract attention from industries all over the continent. Whether it’s weighing, process control or managing an inventory system, the DD Line will simplify your business. Fill out our Request a Quote button and let us know what type of weighing application you're looking to do and that you'd like to use the B-Tek DD series weighing indicator. The DD Line was the first of its kind to bring full programmability to the scale industry while doing it through Windows based software. B-TEK developed this software on a touch screen platform and was able to immediately capture significant market share because of its vast physical appeal when compared to similar equipment in our industry. Custom software can be easily developed using standard Microsoft languages. 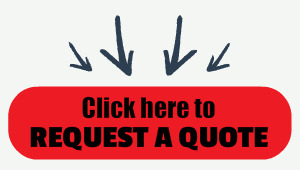 There are no limitations on the ability to customize your solution. Any time a standard feature is not present, a developer can simply write code to implement it. The DD family of indicators have integrated elements and components to help them withstand the harshest of conditions. The display is an industrial touch screen which is able to be easily read and withstand bright environments. Thanks to the built-in network connectivity, the DD series can be easily integrated into a customer's network. Communication with any type of device can be managed by leveraging commonly used protocols and functions already built inside the DD series indicators. ABS or Stainless Steel versions for analog or digital applications. The DD 1010 offers the same functionality of the rest of the DD Series but in smaller versions. 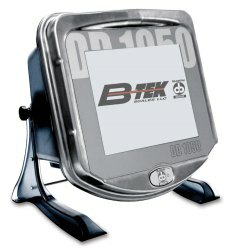 The DD 1010 features a 5.7" touch-n-slide screen equipped in either a stainless steel or ABS enclosure. The DD 1010 can handle a maximum of 2 remote bases while offering developers a fully programmable interface at a lower price point. The DD 1050 can replace a traditional PC with a locked-down, industrialized solution meant to withstand harsh environments. The DD 1050 is a perfect solution for walking a user through a series of steps and printing weight tickets or saving and transferring the data to central server. The power of the system lies in its ability to help eliminate user error as well as make your input process more user-friendly through its 10.4" touchscreen interface. The DD 2050 combines computer programming power with flexibility and delivers it all in a compact, secure, unattended box with a 12.1" touchscreen display. The DD 2050 comes pre-loaded with standard in-out software and is NTEP approved for your legal for trade applications. B-TEK Batching Software comes standard with multiple users, materials, and recipes. The software uses the 10.5” touch screen to assist operators in easily entering extensive recipes made up of many materials. Each material within a recipe can be set to have multiple target weights. Once the recipes have been set, the operator can easily start, stop, and visually see the batching process from the large display. The software also comes available with a feature to run in dual scale mode so you can utilize one indicator for two scales simultaneously. The B-TEK Check Weighing Software was designed to provide operators an intuitive guide navigating the user through each step of their process. Intelligent use of the 10.5” touch screen display allows users to be visually aware at all times where they are in the weighing process. Based on the Windows platform, the software can easily be tied into accounting/inventory systems for seamless control over product. B-TEK Counting Software is a great solution for counting applications that need to communicate to other systems within or external to your company. The intuitive touch screen based display guides users through setting up pieces, parameters, and the weighing process. If your counting process is part of a larger operation, contact B-TEK to see how we can streamline your entry process. B-TEK Farm Software gives farmers insight into their crop for less than more expensive packages available. The standard software can be used attended or unattended and can track many variables of your operation. All of these different pieces of data can then be used to generate reports that breakdown output of fields, drivers, commodities, etc. The B-TEK Pay-to-Weigh Software is an innovative and more flexible approach compared to older, cash based systems. The software accepts all major credit cards and can utilize peripherals such as cameras, intercoms, photo eyes, and scoreboards for the weighing process. In today’s world, even vending machines accept credit cards. Why shouldn’t your pay-to-weigh system? With cash based systems, you increase the possibility of problems with the amount of moving parts needed to accept and dispense cash and or change. Additionally, security is a major concern with these systems as theft and vandalism present major vulnerabilities for owners. However, with B-TEK’s innovative approach to pay-to-weigh, all these concerns are alleviated by a securely designed architecture that mitigates exposure of theft. The IP based camera (optional) can be used to take pictures of any activity on the scale. The software is specifically designed to not store any transactional data that could be compromised. The B-TEK Basic Truck I/O Software comes standard with functionality to traffic lights, scoreboards, photo eyes, and RFID. The software can be used attended or unattended depending on your need. Additional functionality such as mobile access to data is available with custom development.